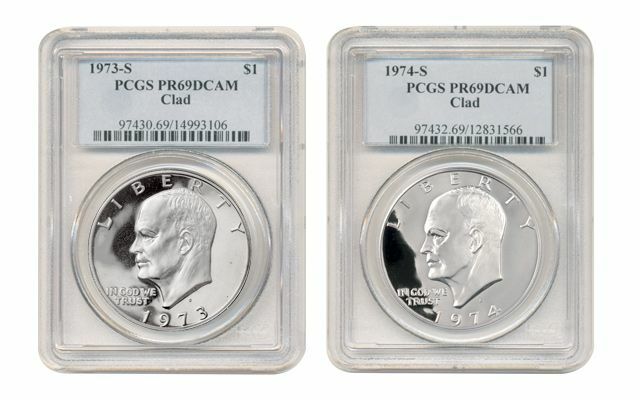 Don't miss this complete collection of the finest known matching grade Eisenhower Dollars Proofs possible! 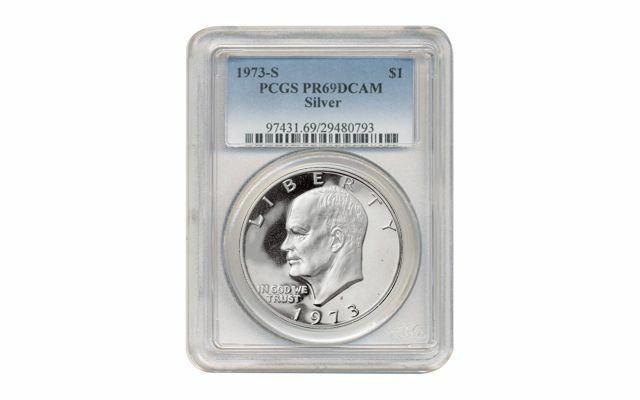 Every week we get unsolicited offers for private collections, hoards and auctions. Yet, we pass on most of them - sometimes because the quality doesn't meet our high standards or because we're not convinced they'll appeal to customers like you. But, every so often, we discover something that's too tempting to ignore. 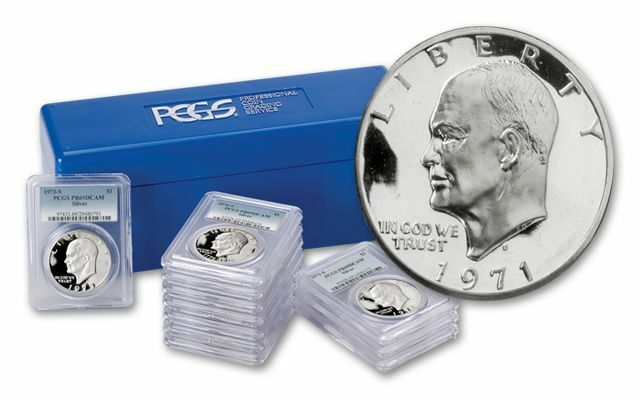 And, that's precisely what happened when we came across these complete sets of Proof Eisenhower Dollars minted from 1971 to 1978! 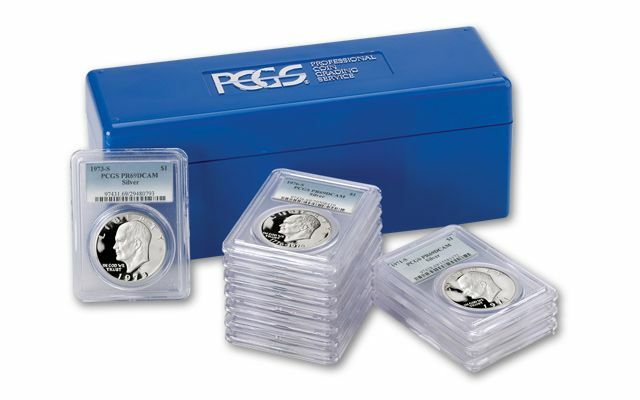 They are the Cream of the Crop, all in a Complete Collection! 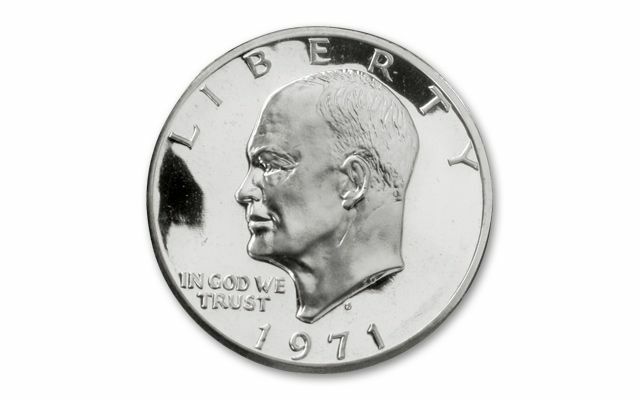 Don't confuse these Proofs with the Ike dollars you plucked from your change in the 1970s. 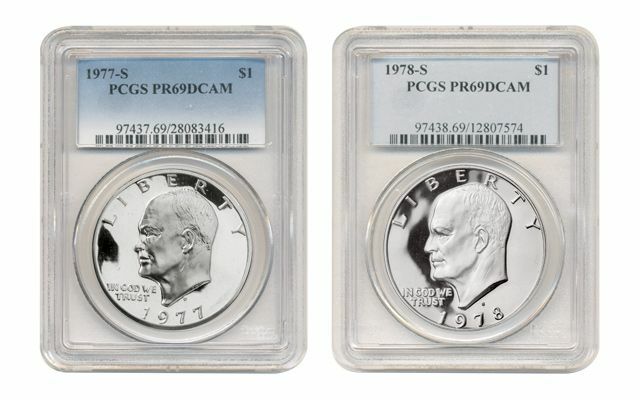 Unlike similar coins issued for general circulation, Proof Ikes were issued in far fewer numbers - up to 20 times fewer, to be exact. 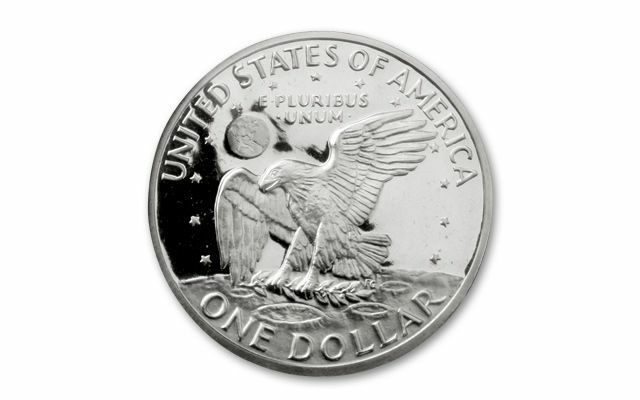 And, these coins aren't just any Proofs. 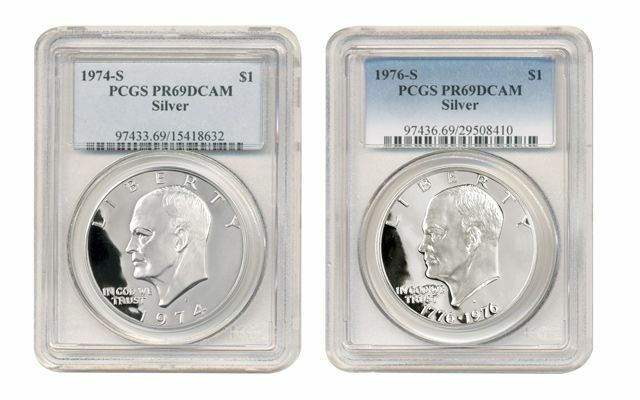 Each one in our 11-piece matched sets has been graded near-perfect Proof 69 Deep Cameo (PR69 DCAM) by Professional Coin Grading Service (PCGS). 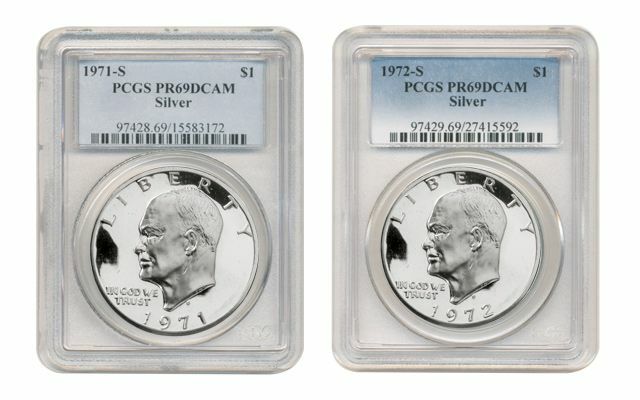 As its name suggests, Deep Cameo Proofs give each coin's design a distinct high-contrast cameo effect, with frosted devices and lettering sparkling against shimmering mirrored fields. 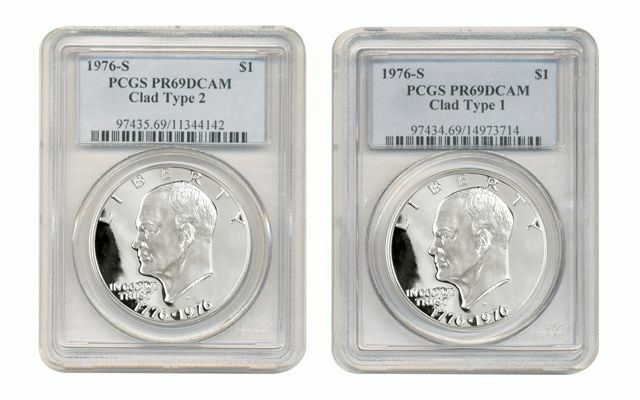 And, demand for high-quality modern issue coins like these has become one of the fastest growing areas in the U.S. coin market!